2016 was not particularly a great year for Indian cinema. There weren’t many films that broke new grounds or even those which left a lasting impression. The only positive side of the year was the change in the portrayal of women. Up until last year, there weren’t many films that could be stated as an acute representation of women, but 2016 gave way for more freedom of expression and the result was an array of films with strong female characters. While I had issues with Leena Yadav’s Parched, I particularly liked how the women in her film were not just characters but people who are living and breathing or at least trying to live and breathe. Here are 10 Hindi Films that were better than the 100 other films released this year. Honorable Mention: Waiting | Director: Anu Menon. For everyone who has every been in a hospital, trying to pass on the agony in their heads onto the random daily newspaper or someone else going under the same spell, Anu Menon’s Waiting is a living portrayal of that heartbreaking ordeal one goes through. Time doesn’t just fly away & feeling just creep up out of nowhere. The fear, that clogs along with the pain just doubles the frustration. The dilemma of understanding what the next step should be; is even harder than being in a mental asylum surrounded by freaks.Waiting is one of those films that’s too talky to be taken seriously but not entirely off-putting to be considered dumb. Related: Waiting : Togetherness in Grief. 10. Phobia | Director: Pawan Kriplani. 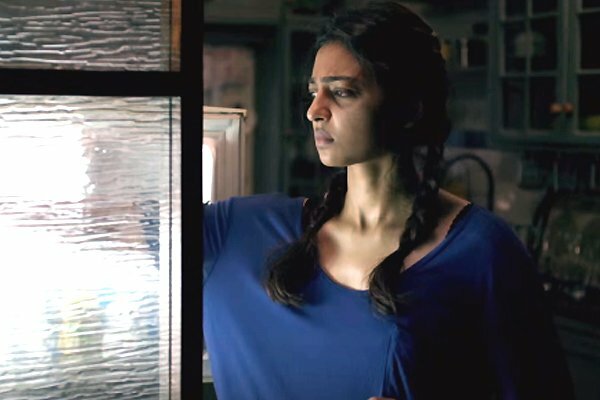 Boosted by a terrific central performance by Radhika Apte , Pawan Kripalani’s Phobia is an intriguing look into human paranoia. The type which leaves you on the thin thread between sanity & insanity, reality & illusion, and the cure, within the cure. Set in and around a single place, Phobia was a psychological thriller that goes beyond the things it could possibly grasp. It’s one of those thrillers that doesn’t provide you with written answers making its ambiguity result in both disappointment and intrigue. 9. Udta Punjab | Director: Abhishek Chaubey. Udta Punjab sets the right foot at the right time. The set condition in Punjab is desolating into one that doesn’t seem to wake up from the overdose of snippets of drugs of all kinds and creeds. From people who work at general stores to rockstars who write involuntary anthems about how cool it is to intake worthless substances has gradually increased to a wholesome number. The film commutes on this very problem that is indecently ruining the youth of a state know as the land of the five rivers. But, the film is not just about the state or even the country. It is about a general idea which doesn’t seem to help people in any way. The way Chaubey shows his vulnerable characters; some being forced to substance abuse, whilst some forcing themselves into it, makes it all the more authentic. 8. Dear Zindagi | Director: Gauri Shinde. While Dear Zindagi was a step-down from Gauri Shinde’s superb debut film English Vinglish, it was definitely not a film that should be taken lightly. Centered around a charming Shah Rukh Khan in one the most endearing role he has ever done and Alia Bhatt as a woman who seems to have lost her marbles but is actually just looking for a sense of direction. Dear Zindagi was a sweet, sometimes melancholic take on how most of us confound ourself into various roles and still are broken in every possible way. About how we confuse simple things, mixing them up in a quagmire of self-hate and bewilderment when they can easily be mended with a stroke of light touch on the canvas of life. 7. Neerja | Director: Ram Madhvani. Being brave and scared are two very closely intertwined feelings. Ram Madvani’s Neerja tells us that no education can teach you to be brave. It just takes that extra bit of human spirit that needs the right trigger at the right moment. While Neerja does undergo the typical melodramatic turn, the emotions seem more real than they are made out to be. Thanks to a wonderful cast of performers and equally balanced team behind the camera, the film never fumbles and mostly hits all the right notes. Neerja is a true biopic that portrays bravery in the time of dire need. It shows how a 23-year-old girl saved the lives of over 300 people while facing both – the wrath and the guns of the Palestine terrorists. Also Read: Neerja : A Brave Account Of Human Spirit. 6. Trapped | Director: Vikramaditya Motwane. Returning to grass-root indie grounds, Vikramaditya Motwane’s Trapped was a pretty basic survival film. What makes it interesting is the survival that doesn’t go behind locked closets, coffins or even terrible forest terrains but right in the heart of the city that never sleeps – Mumbai. Trapped is the story of a common, everyday guy making a hasty decision of buying a flat without prior consultations on the account of the love that could be lost. Motwane’s film brilliantly captures the psychological, physical and emotional conflict that the central character faces while making any further decisions. It almost feels like a nightmare when he hallucinates due to starvation and Rajkumar Rao’s breathtaking performances just fuels the film even more. Featuring one of the best jokes on the Veg vs Non-Veg disputes and shot in just under 4 weeks, Trapped is a tightly capped survival film that beautifully captures the indie spirit of film-making. Lookback: 20 Must-See Films At JIO MAMI Mumbai Film Festival 2016. 5. Pink | Director: Aniruddha Roy Chowdhury. Pink leaves a deep cut on our conscience. It affects the judgment and also stares right into everyone whose notion about women is shrouded by cheap, mindless props or their own viciously unacceptable characterizations about them. Subtle and loud in equal measures, Aniruddha Roy Chatterjee’s Pink feels like a lesson on morality. But it also feels like a lesson that needs to be taught and at least, listened to. 4. Dangal | Director: Nitesh Tiwari. Nitesh Tiwari’s Dangal is about a lot of things. Unfulfilled dreams, patriarchal society, woman empowerment, wrestling, and family. 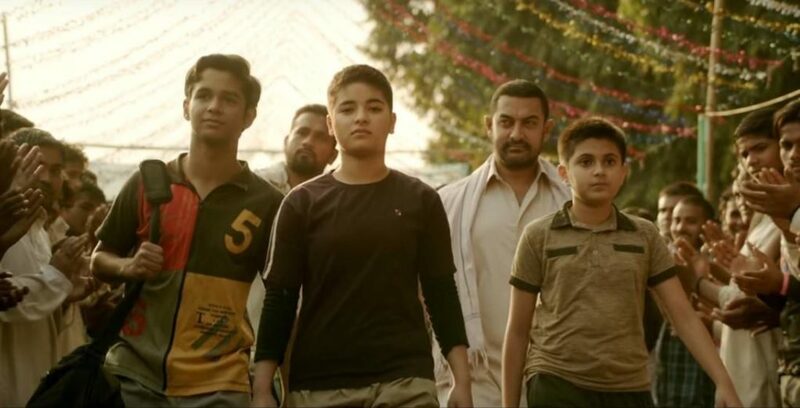 But above all, Dangal is a sports film that tells you what it takes to be a champion. How sacrifices, blood, sweat, hard work builds up the much-needed confidence that allows a person to become a champion even when the most important people are not standing by your side. Emotional, sentimental and a tad bit melodramatic, Dangal still proves to be a strong and powerful sports drama that falls down on almost all the cliches and then still rises up tall with broadened shoulders. 3. Aligarh | Director: Hansal Mehta. In the film Dr. Siras says – The new generation just wants to label everything. So, if I call Hansal Mehta’s Aligarh fantastic, fabulous, cool and awesome it would be a grave mistake on my part. What Mehta’s film did to me was turn my head in shame because that’s exactly what people like you and me do. We like to label things because poetry is just not our thing anymore and reading between the pauses is something we have forgotten. Aligarh is a brave film that is not a cry for help, it’s an ode to those souls that are crucified by the society for just being what they really are, i.e – HUMAN. 2. Raman Raghav 2.0 | Director: Anurag Kashyap. There’s a strange smile that appears on your face as you watch Ramanna dismantling his victims in Anurag Kashyap’s Raman Raghav 2.0. It’s not because Kashyap somehow magically manages to justify the mystifying murders in his film, nor because he tries to ground you into rooting for his killing machine, but because the film jabs at that side of a human brain which has violence and anarchy all over its surface. 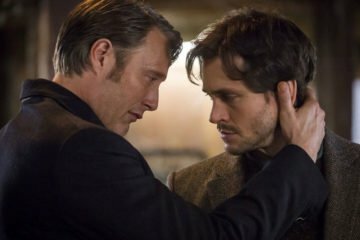 He kicks a dark, blunt hole in your head, one that shakes you to the moment of spine-chilling, psychotic disorder. Here’s a film that never steps back on its delivery of evil. It piles a dozen of grim shenanigans in front of your eyes and just keeps increasing the weight until you gasp or possibly choke yourself to death. 1. Kapoor & Sons | Director: Shakun Batra. A dysfunctional family drama that has its heart in the right place. Shakun Batra’s Kapoor and Sons is one of the most real, relatable, family films I have ever seen. There are times when you feel you are on the screen acting out, loving, hating and abusing fate, luck and everything that comes along. More than what it tells you, Batra’s film works because of the characters. The people who enact them are cardboard cut outs of the commercial anti-cinema, yet they manage to feel real in their ordinary self. It’s endearing, heart-warming and miles away from the sugar-soaked entertainers that have unreal situations and unreal people at their center.